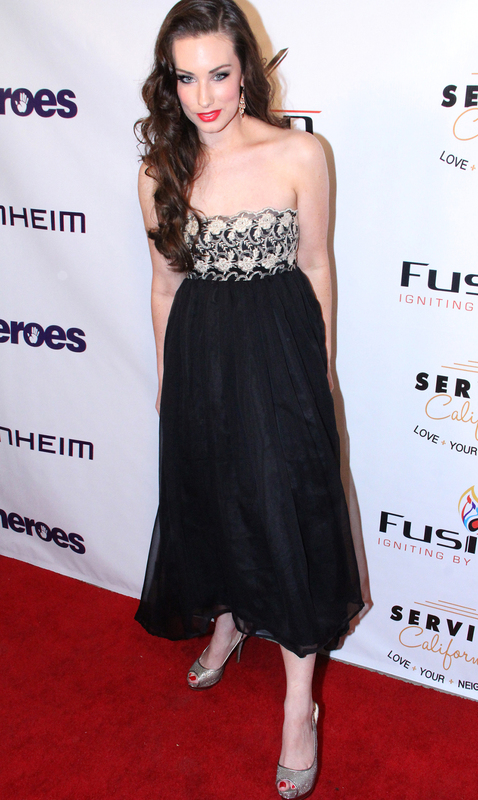 On September 24th I attended the Justice Ball in Hollywood to support a fantastic organization– Unlikely Heroes. Unlikely Heroes works tirelessly to rescue victims of human trafficking worldwide, and their work is really quite fantastic (read all about it here! ) The invite requested formal attire– so I opted for an old-Hollywood type look. Because I’ve received many requests and comments asking how I got my “look” and what products I used, I thought I’d do a quick blog post. And, since I always prefer doing my own hair and makeup for events, most of the products I use are easy to find and available at your local drugstore 🙂 See below for tips and items! Dress: Sophia Gown by Lauren Elaine Black Label (available through special order, salesrep@lauren-elainedesigns.com) Because I opted for a black and white dress, I wanted to add color to my makeup look. Makeup: Revlon Colorstay Liquid Foundation (in Medium Beige) & Photo Ready Concealer (in Light Medium), Bare Minerals Mineral Veil powder, Revlon Colorstay Eyeliner in Black, Lancome Definicils Mascara in Black, Sorme Bronze/Blush Duo in Sunshine, and Covergirl Lipstick in Triple Red Rush. TIP: I have freckles – so I chose a foundation shade that’s in between my skin tone and freckles. It helps conceal them easily when going for a “porcelain” skin look. Next postLAUREN ELAINE STYLE HOUSE | Now Open!